New beginnings are always better when there’s free stuff involved! 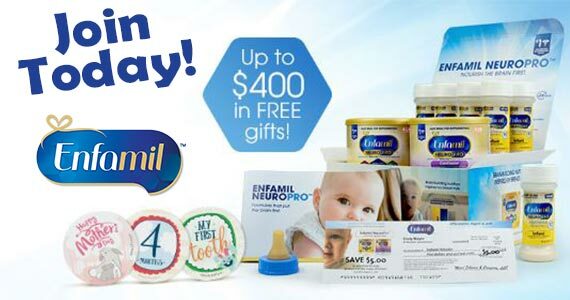 Join the Enfamil Family Beginnings program and you’ll receive up to $400 in free gifts for your baby. This includes formula, belly badges, coupons, special offers and more. Click through to join and you’ll also be entered to win free Enfamil or Enfagrow formula for a year.